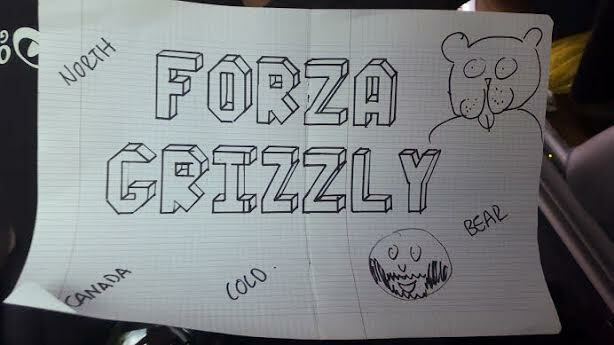 Esteban Chaves calls Svein Tuft, 'Grizzly' from last year's Giro d'ltalia (see above) and for good reason. 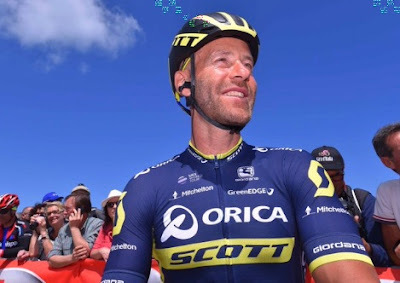 Svein Tuft ponies up and re-signs for Orica-Scott for 2018. He's a 10-time Canadian national time trial champion and is the oldest rider in the WorldTour. At 40 years old, he'll line up for the 72nd Vuelta to help the Australian team win the stage 1 the TT in Nimes, France. That will be his seventh season with Orica helping Esteban Chaves finished second in the 2016 Giro d'ltalia. "Helping the young guys excel and learn gives me a great satisfaction. As the team has been changing, I've also been adapting and growing and I still have things to learn. I enjoy this process and it keeps you young as a rider." Orica Scott will bring along their big three for Saturday's Vuelta: The twins; Adam and Simon Yates and Esteban Chaves. If the stars line up right one of them or best all three can challenge for the podium. The two engines will help pull them Sam Bewley and Svein Tuft. Deeper still in the mountains the team will rely on Jack Haig and Carlos Verona. And puncheurs Chris Juul-Jensen and Magnus Cort (2 stage wins, 2016 Vuelta) will complete a powerful Orica-Scott squad. Could this be the year for Orica-Scott to pull off their first Grand Tour victory? It will be difficult but I wouldn't bet against them!